Pai Mu Tan tea typically hails from the Chinese Fujian province, and is also commonly known as “White Peony” or Bai Mu Dan tea. Overall, this tea was a flavorful balance of sweet melon and a mild nuttiness. Steeped at 180F for 1 minute. Use approximately 1 tsp of tea for each 6 or 8 ounce cup. 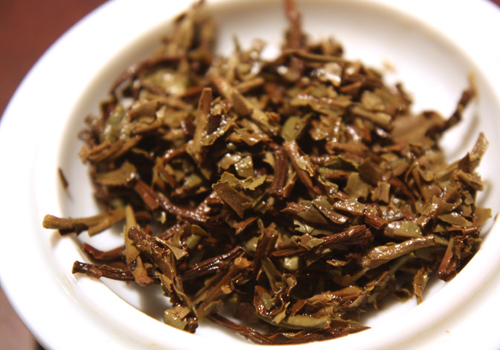 Never steep white teas with boiling water as it may cook the tea leaves and result in a bitter flavor. The dry leaves consist of a mixture of large fragments of broken leaf and dark brown woody stems interspersed with leaves and buds which run the color spectrum from fuzzy white and silver to dark brown. The leaves are coated with a soft fuzz. The aroma of the dry leaves is slightly sweet, woody and a little spicy like roasted nuts. 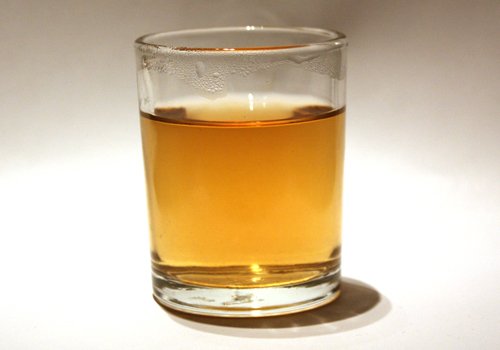 With the first infusion, the liqueur after steeping is a creamy red-gold, and smells earthy and baked, like the aroma of sandalwood and hay. The color of the leaves has deepened into hodgepodge of tan, dark brown and olive green. The first infusion tastes like earthy and dark, though this immediate impression is offset by refreshing melony sweetness to the finish and a lingering tartness on the tongue. It has a full body and is almost creamy. 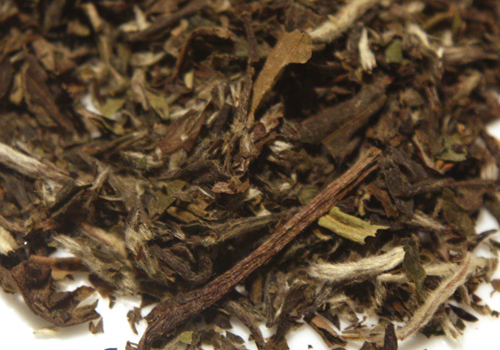 This is a full-flavored tea relative to other white teas and tastes light and refreshing. The second infusion is surprising to me, tasting a bit more like a roasted oolong. The smell is less woodsy and sweeter, and the taste of the tea has evened out. It still tastes a bit like melon, but with less roasted undertones and a more mild and smooth finish. The flavor of this tea at the second infusion suggests that it could hold up for many more.